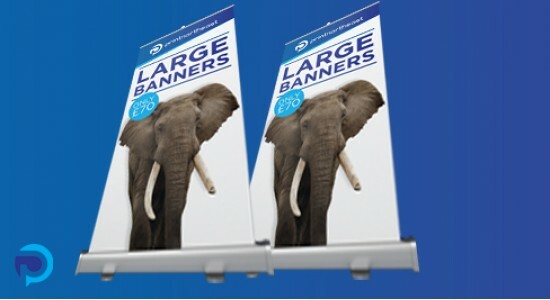 Our large size pull up banners stand at 1m wide x 2m high and they come with a handy carry case. Visually stunning, these are one of the most effective forms of advertising any service, promotion or product as they really give a 'wow' factor. The extra 20cm width over our standard size really packs a punch.